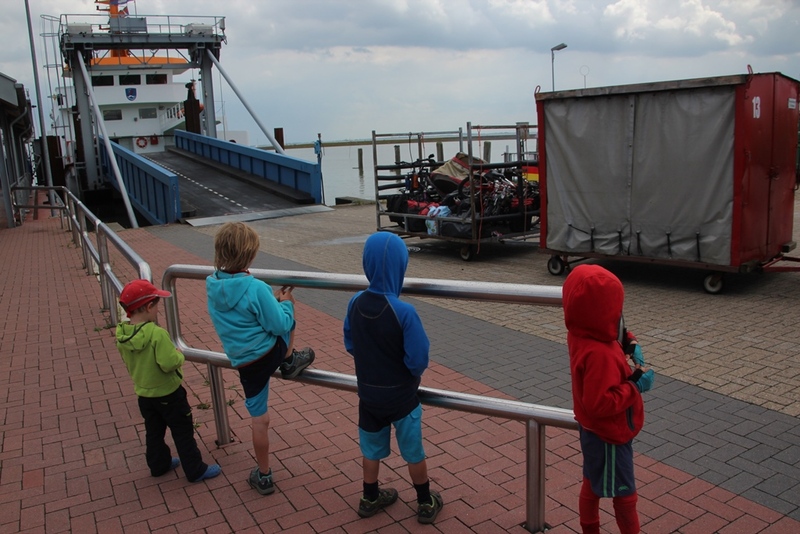 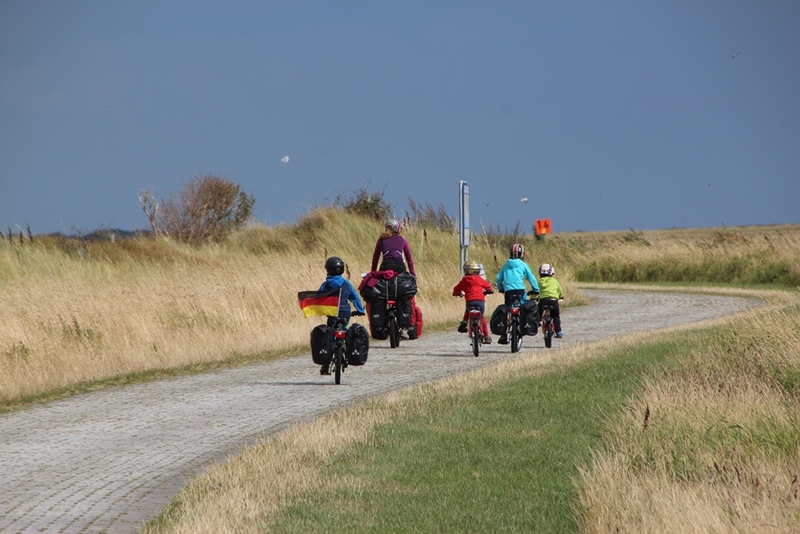 Watching our luggage get transported off the ferry – by far the most fascinating part of the ferry trip to the car free Island of Langeoog. No cars or exhaust pollution and 11km long – makes it the perfect island for Herbie to make his debut! 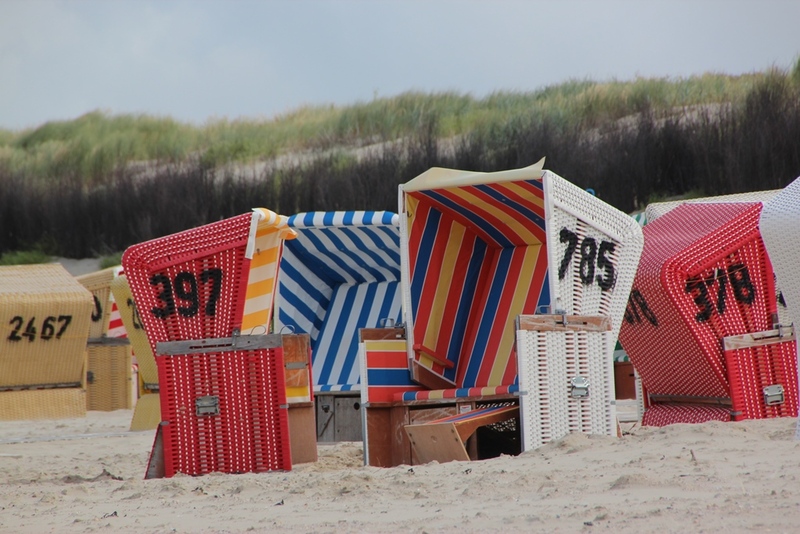 Felt like going back in time with the beach boxes however it was too cold even for Victorian style swimming cossies! 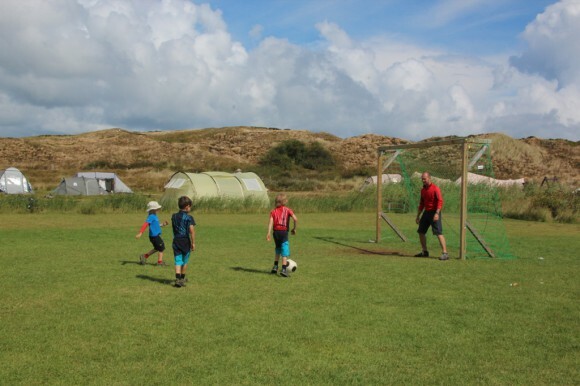 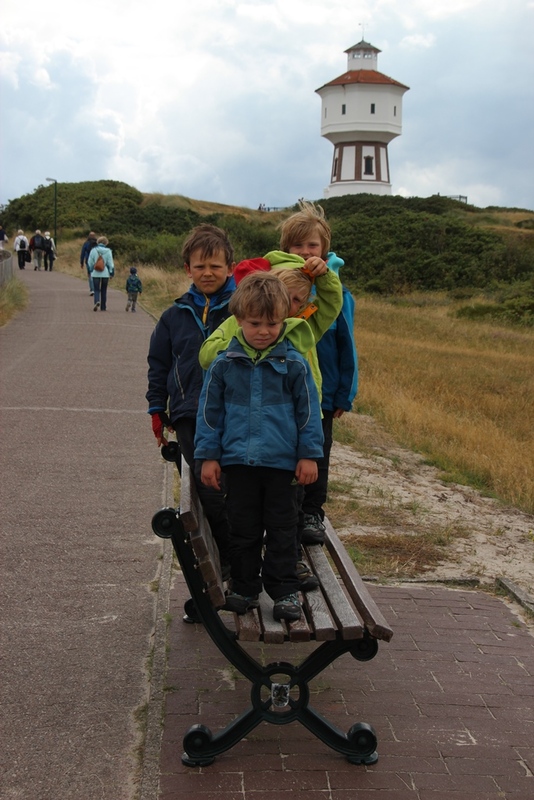 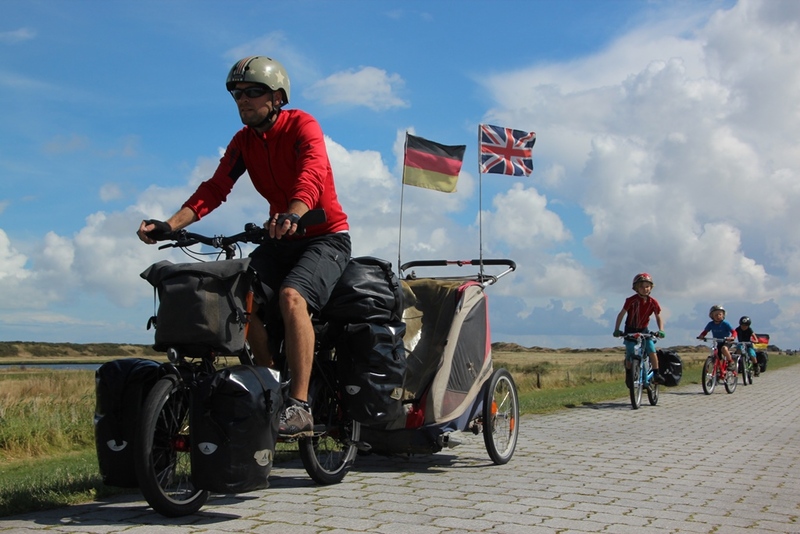 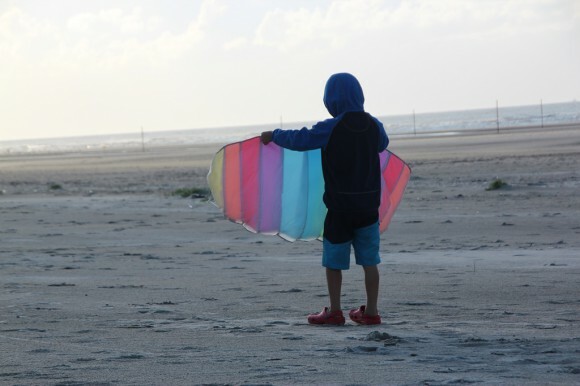 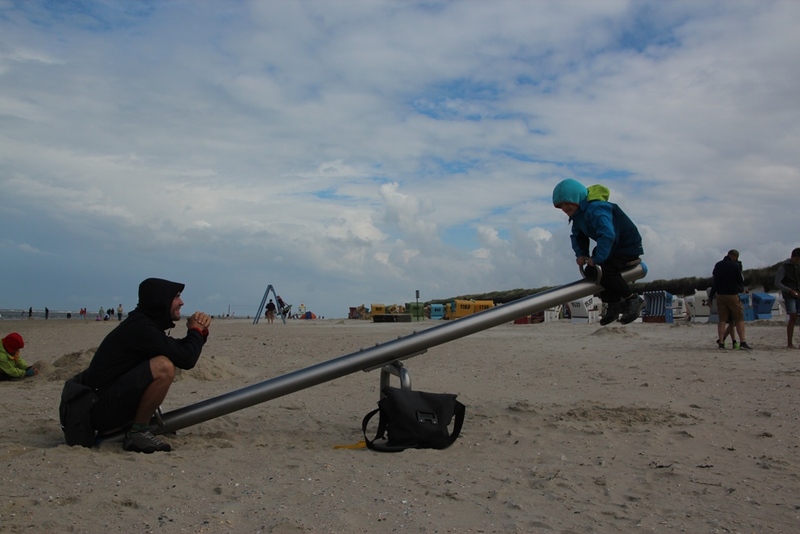 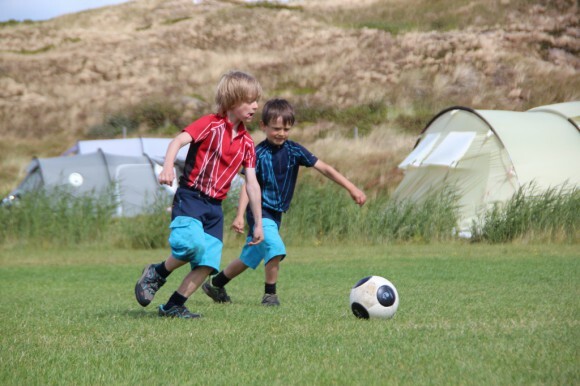 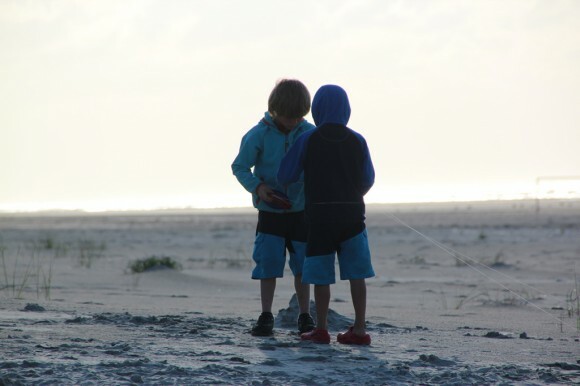 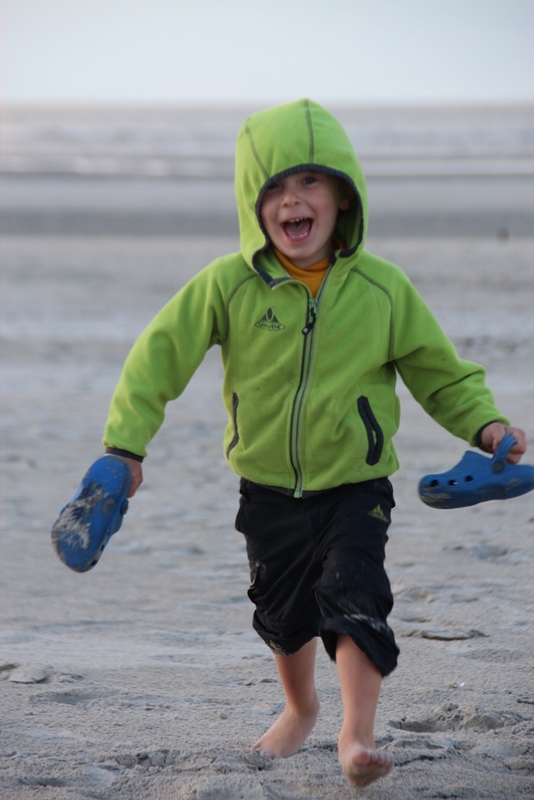 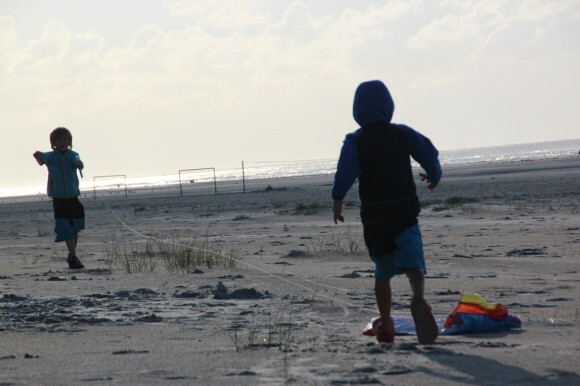 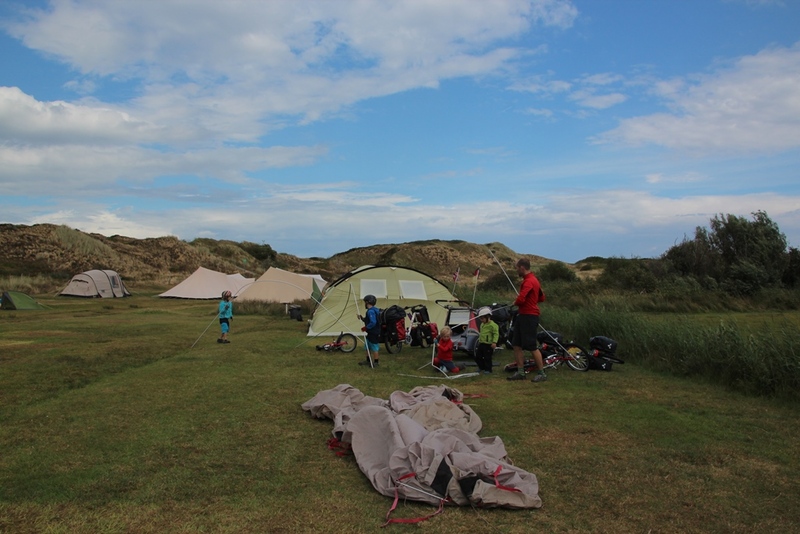 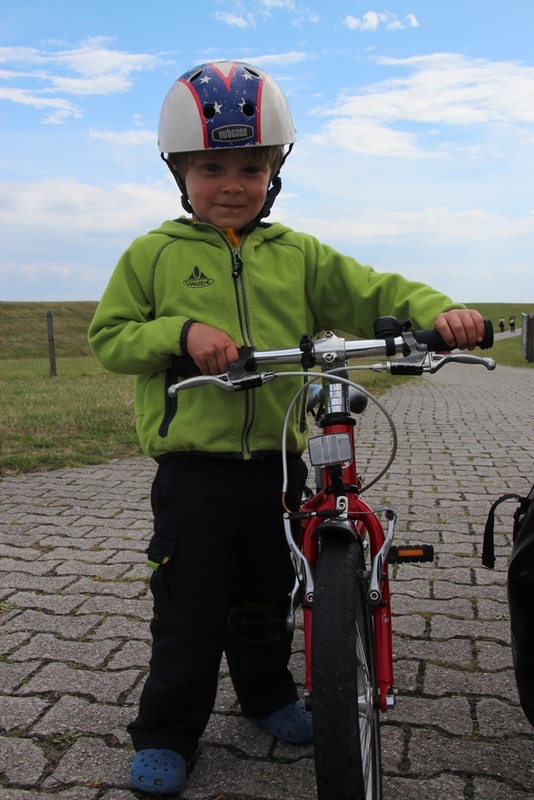 This football pitch beside our tent was the highlight of Langeoog for Moses – who spent every minute of his time there. 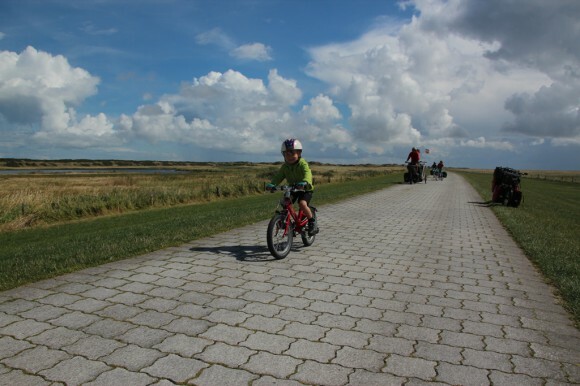 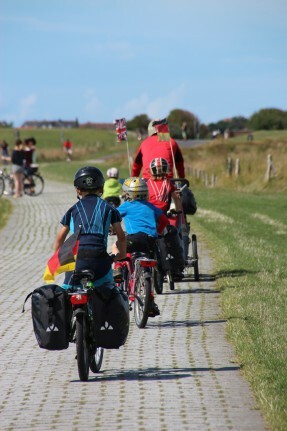 So lovely riding without cars! 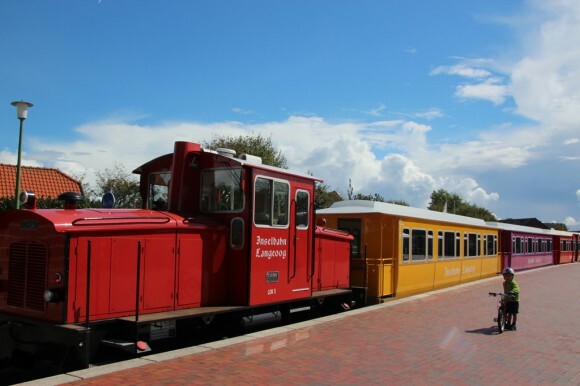 To board the ferry we have to check in at the train terminal – yippee a bonus train ride!